I got my hands on three different glucose meters. 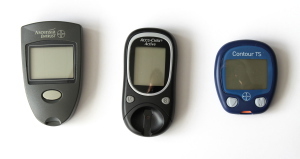 Glucose meters consumer level medical devices. They normally have chemical test strips that you put your blood on and then plug the strip to the meter. Meter measures the test strip either electrically or optically and displays the result. First one to look at is the oldest of the meters: Bayer Ascensia Entrust. The design looks oldest and lowest volume. 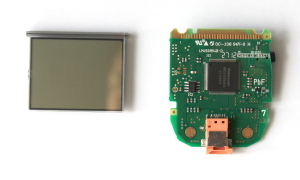 There are many components: MCU, external ADC, multiple opamps. The screen is through hole soldered. It also has a card edge connector for calibration card. With each pack of test strips there came a small memory stick with calibration data for these strips. Quite complicated and expensive, but this is what was necessary for precise measurements. 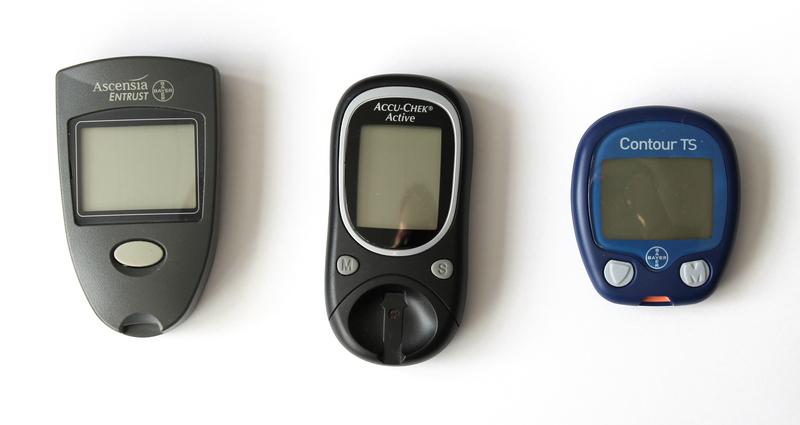 Second one Accu-Chek Active is a bit newer and looks more like a mass production device. 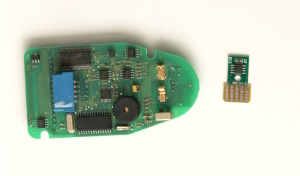 Atmel microcontroller and only a few external components. LCD ribbon cable is hot bar soldered to the main board. 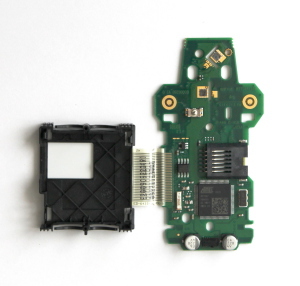 Sensor looks like an optical measurement with several optical sensor dies on the PCB. Like the first one it has slot for calibration sticks. Third is Contour TS. Smallest and most consumer level. Single chip solution, no amplifiers or calibration connectors. Buttons are rubber membrane and LCD is zebra strip - cheap and easy to manufacture. It is interesting to see same product develop through age. All these tree provide the same purpose, but have different levels of complexity and very different BOM prices. There is more electronics integration from device to device with Panasonic custom chip in the last one. But there are also developments in sensor technology that allow to measure with same precision using cheaper electronics.